Even though Suicide Squad hasn't been released yet, people are talking about the villains that make up the infamous team's line-up. One of the obvious stand outs of the lucky line-up is Will Smith's Deadshot, which looks to be a role that's smack dab in the wheelhouse of the classic Smith canon. 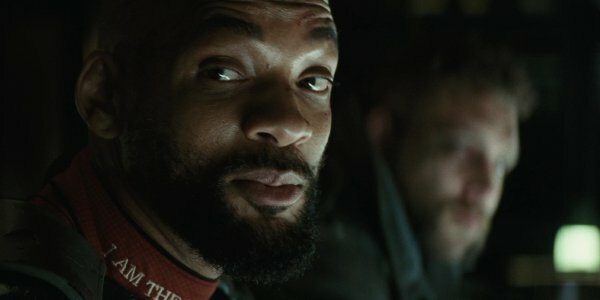 And if all goes as planned, Smith has some batty ideas as to where Deadshot could go after David Ayer's supervillain team-up film. There was one of the comics where Bruce Wayne got injured and Deadshot came in, and he had to throw on the Batsuit. So I'm just saying, if they're going to draw from that, I wouldn't reject it. Something tells us that these issues of the comic may have been created in Will Smith's eager imagination, but considering his scenario sounds close to that of the recent DC animated film Batman: Bad Blood, it wouldn't be a stretch to see this scenario play out. If anything, a Batman film where Ben Affleck's incarnation is sidelined by an injury, only to see several pretenders to the thrown taking over for a night of their own, sounds like a creative alternative to the typical Batman flick. An anthology of amateur Gotham crime fighters, with Smith as the anchor, is something that could make waves in the DC Cinematic Universe. With Batman v Superman: Dawn of Justice serving as a solid, if not underwhelming start-up film for the era of the Justice League, Warner Bros is going to be refocusing their efforts on all films that come down the line in the future. It's already been seen with the Suicide Squad reshoots, and with the movement on the script to a solo Batman movie recently being reported, the studio is in the business of correcting their image in the light of the criticisms leveled against this year's off-season blockbuster. And what better way to wow the fans at home than to take Will Smith and put him in the cape and cowl, free to take on the thugs of Gotham City without all of the bothersome rules Bruce Wayne follows. Whether it's in the works or not, you can't help but be charmed by Smith's take on where Deadshot should go next in the DC Cinematic Universe. If you need any more convincing, you can watch the full compliment of Will Smith's remarks at last night's MTV Movie Awards in the tweet below. Suicide Squad is ready to blitz theaters everywhere on August 5th.